Situated in the Washington DC area, the experience features 44 crossings with a slew of obstacles. 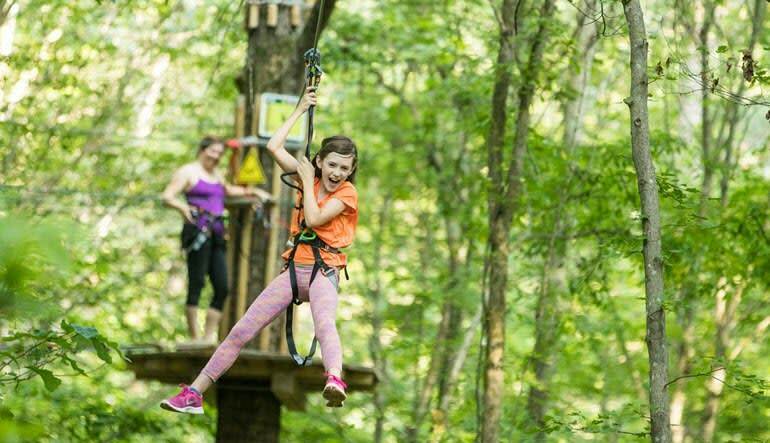 Practice your best Tarzan call as you swing from one treetop to the next! 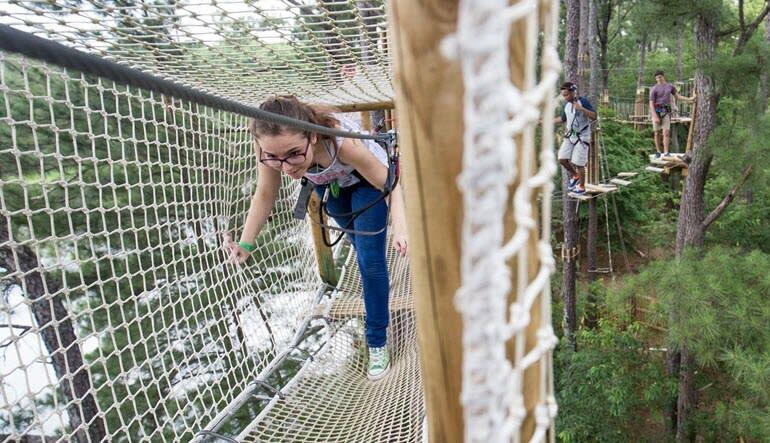 Way more than a zipline tour, this adventure offers 2 to 3 hours of scaling ropes, navigating suspended obstacles and conquering the forest. What’s more, the sprawling treetop scenery make it one of the best looking excursions in the state of Maryland! Situated in Rock Creek Regional Park, the experience features 44 crossings with a slew of obstacles. Practice your best Tarzan call as you swing from one treetop to the next and test your balance on wobbly bridges hidden in the trees! 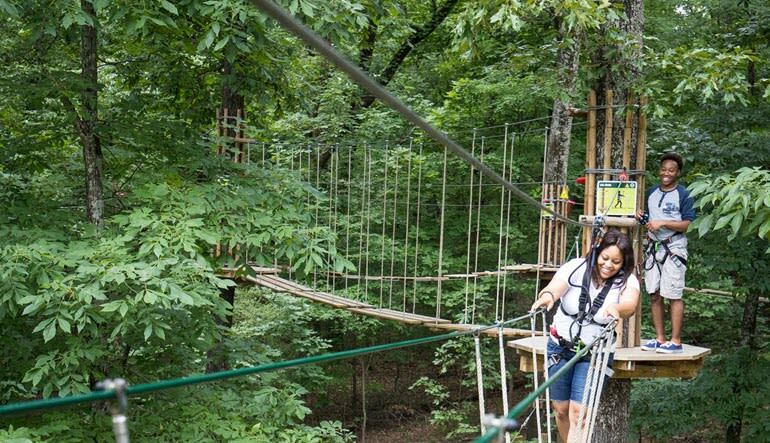 Spend 2 to 3 hours on a zipline and canopy adventure in Maryland's Rock Creek Regional Park! Begin with a quick safety instruction. Harnessed with state-of-the-art gear, you’ll traverse 6 exhilarating sections! Glide on ropes, scale webbed netting and swing from one lookout post to the next. Enjoy the bird-level vantage points overlooking one of Maryland’s most stunning locales! Whether you’re team building with colleagues or spending quality time with the fam, this outdoor thrill-ride brings everyone closer together. Book now!